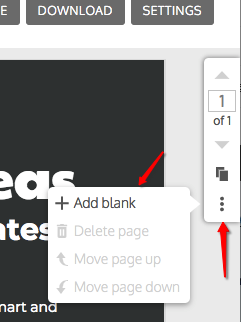 To add a blank page to your infographic, click on the three vertical dots found on the right-hand navigator. 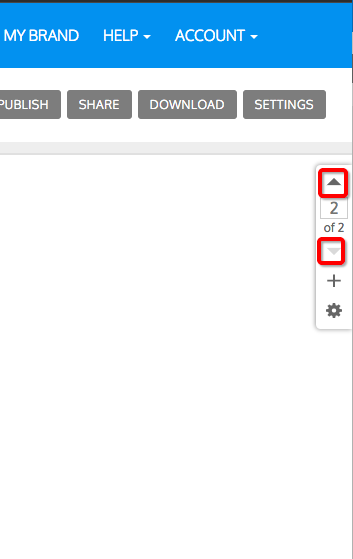 To add a page that has the same template, you can select the page symbol on the navigator and click "Copy Page". Once the page is added you can use the arrow keys to scroll through the pages.